Veteran Kannada actor Lokanath passed away on Monday, December 31. He was 90 and is survived by 4 daughters and a son. Veteran Kannada actor Lokanath passed away on Monday, December 31. He was suffering from age-related ailments. He was 90 and is survived by four daughters and a son. According to sources, he breathed his last at around 12.10 am after suffering a cardiac arrest. His mortal remains will be kept for public to pay homage at Ravindra Kalakshetra between 12 and 2.30 pm. He was born to Hanumappa and Gowramma on August 14, 1927. Having brought up in a conservative family, he took up interest to act in theatre despite opposition from his family members. In his mid-50s, he had joined 'Ravi Kalavidaru' and first stage play was 'Bandalavavillada Badayi'. Rukshaki, Vigada Vikramaraya, Bahaddur Gandu and Chandrahasa were some of the dramas in which he played prominent characters. He made his acting debut in National Award winning movie, Samskara in 1970, but it was Gejje Pooke which was his first release. In his close to six-decade career, he worked with most of the big names of Sandalwood till date that include Dr Rajkumar, Vishnuvardhan, Ambareesh, Kamal Haasan, Shankar Nag, Ananth Nag, Shivaraj Kumar and Ravichandran. Nagarahaavu, Bhootayyana Maga Ayyu, Nodi Swami Navidru Heege, Katha Sangama and Kittu Puttu were some of his memorable movies. His character of a cobbler in Bhootayyana Maga Ayyu remained his identity. 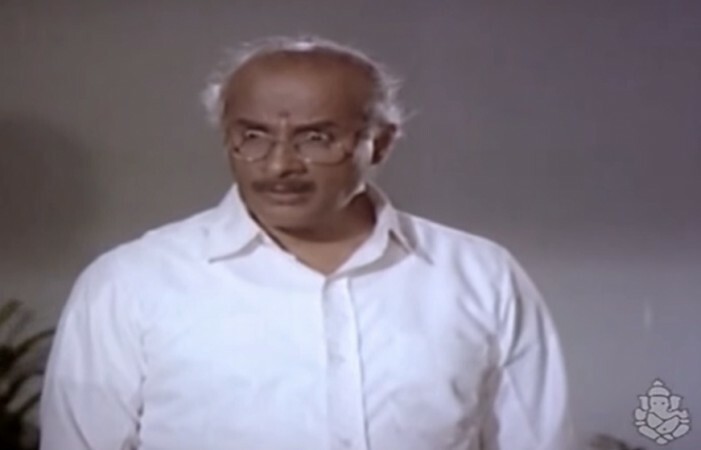 The scene in which he drools over pickle in the film earned him the monicker 'Uppinakayi' (pickle). He was also fondly called by the name, 'Uncle' by his friends and well-wishers in the film industry. ಇವರು ನೆನಪಾದಗಲೆಲ್ಲ ಉಪ್ಪಿನಕಾಯಿರುಚಿ ನಾಲಗೆಯಲ್ಲಿ ಜನಿಸುತ್ತದೆ..